If you live an apartment building or any other building where space is really a matter of concern and you want to place your essentials in order, a ladder shelf can be the right choice to make. Ladder shelves hold the capacity of adding elegance to your room. It would be an under statement to say that they are just another room decor pieces. If chosen appropriately, the corner shelves can single handedly add charisma and style to your room. Try a combination of plainness and functionality to experiment. These art pieces are the perfect places to flaunt your expensive antiques, collectibles and other decoration items. In an office or a living room, they make the perfect place to store daily use stuff. These shelves are mostly opted by booklovers who get a holistic solution for their storage requirements. The Corner Shelf by Poundex weighing 37.4 pounds comes in three different finishes: Walnut, Cherry and, Oak. The robust five design is 29 inches wide, 21 inches deep and 63 inches in height, and has five wedge-shaped shelves. The top shelf is the smallest and the sizes increase going downwards. The product can be used to keep the books, memoirs, gift pieces on separate racks. You can mount the shelf to the wall with the help of wall anchor straps and wall plastic hangers which come free with the shipment. Alternatively, you can place it smoothly next to the wall as it is sturdy and does not fall backward or forward. The dark compressed wood gives your living room a rich, royal look. This Corner ladder bookshelf gives new goals to room decor. The five shelf storage is 14.2 inches wide and deep, and 72 inches in height. The product weighing 7.4 pounds comes in strong Espresso color. The bookshelf with smooth edges has five storage compartments of different sizes. It gives a sleek and narrow look, perfect for a modish furnishing. The ladder shelf is sturdy enough and rests safely on the carpet. With this 25 pound, black colored ladder shelf you can make the most of your floor space. The Black Corner ladder shelf has a flawless straight shape of equally sized five compartments. The dimensions of the product are 12 x 12 x 64 inches. With an antique black finish, you can accessorize the corner with keepsakes, photo frames, and in house plants. The hardware stuff required for assembly comes within the shipment. The White Corner ladder shelf is a contemporary art piece and a must have for adding grace to the room. The 27-pound ladder shelf is 63 inches high, 26.5 inches wide and 17.5 inches deep. The five-compartment shelf looks the best with cream, beige, and other light colored backgrounds. The ivory white color is fitting for a calm composed look. MDF and wood make the bookshelf sturdy. The MDF and Birch Veneer based book shelf is 29 inches wide, 21 inches deep and 63 inches in height. 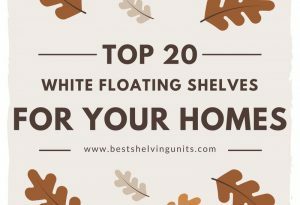 The white colored display shelf adds drama to the corner of the living room. The corner piece tends to blend in lighter backgrounds. The set up is easy to put together and is sturdy being a weighty piece. 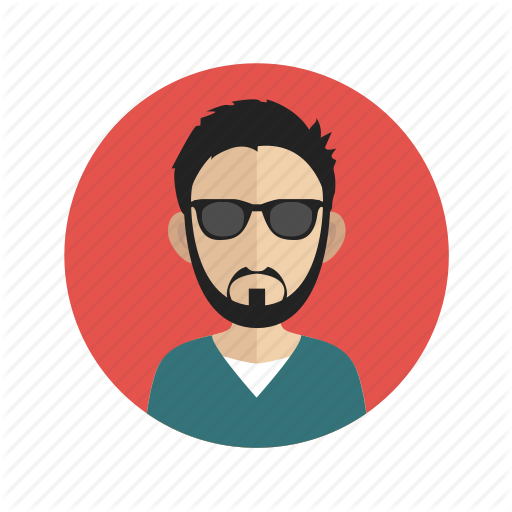 The item is like a souvenir from the time ahead as the design is modish. The dazzling white corner piece has a miraculous capacity of saving space. Item weight is 30.1 pounds with measures 12-inch length, 12-inch width, and 64-inch height. The rectangular straight shape of the product gives a box look, so the pieces decently fit in the five compartments. You can use this side piece as a compact storage space as there is enough spacing between the slots. The clean edges add a dash of sophistication to this wooden decor item. Stack it up with fancy show pieces to enhance the look. This mat white colored side piece has dimensions 29.5 inches by 63.75 inches by 21 inches. The shelf flaunts an irregular design with five compartments, the biggest on the bottom. Unless you have small kids who might toss the shelf down, you can secure the side piece against a wall. The timeless design is a ladder shape never goes out of fashion. Pile the rack up with your knick-knacks and other collectibles. The item weight is 25 pounds. The colossal black finish and strong design has room for five compartments. Made from the solid wood and veneer material, it is 63.25 inches high, 29.5 inches wide and 19.5 inches deep. The graceful side corner comes in white, black and brown color; all three of which are timeless beauty. Place this product next to a wall, in an area where day light falls to give a bright look. The exquisite detailing adds up to its persona. Add life to your living room or office with the Corner ladder display bookcase. This affordable side corner is 26.5 inches wide, 17.5 inches deep and 63 inches high. The asymmetric and revolutionary space saving design has five compartments to accommodate your important files and folders. This is a good quality purchase which will last for a substantial period of time. Dust clean the corner piece with a gentle, dry cloth. The piece looks the best with gray colored walls. The coffee shaded corner design has five shelves to accommodate your design pieces. The product weighs 29 pounds and has the dimensions 18 inches x 18 inches x 72 inches. This finished piece has flawless straight lines embedded in the wooden design. The regular look of the product is perfect for your office or study room. The design looks good with any type of background wall. 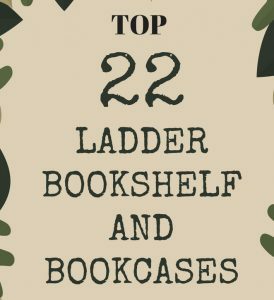 Add charisma to a boring and simple room by opting for this ladder bookshelf. The bookshelf with specifications 15.6 inches wide, 45.9 inches high and 15.6 Inches wide is a short and petite fit for a small room. The fine medium density wood looks even more appealing with PU lamination to give a blemishless look. The product is strong in accordance to its size and weighs just 13.5 pounds. You can also keep it in your patio to keep regular stuff. This item has a unique design and is sleek to the core. The thin rods holding the five compartments give a glossy appearance. The product measures are 11.6 inches wide, 11.6 deep and 57.7 inches high, and the weight of the compact item is 8.8 pounds. The dainty item can flaunt all your small items like flower baskets, small lamps and memoirs. The ladder shelf should be opted if you are not looking for a bulky side piece, but something that covers the emptiness. While looking for a refreshing ladder shelf, consider the place you have to install it. If it is for an office, choose the one which is sizeable. For the drawing room, go for something stylish, and for the living room, choose something chic. Do not forget to adjudge how pretty the piece would look with your room decor and furnishing. Our reviews include only products that can meet certain quality standards. The cheaper models may often ruin your indoor ambiance after few years of use.